Posters, Lobby Cards, Press Kits, etc. 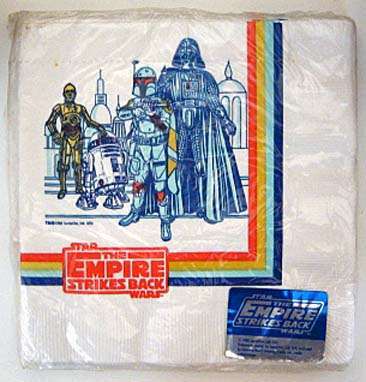 1980 Star Wars ESB Luncheon Size Napkins Pack sealed. Contains 16 napkins measuring 13x13 1/2 inches when open. Package measures 6 1/2 inches.